Succeeding in blogging and business isn’t easy. It can seem like there’s always someone else trying to do the same thing as you are in the same business space, while also trying to rank for the same keywords and search phrases in Google. Customers are rarely loyal creatures, and they always seem willing to abandon you for the newest or cheapest alternative. This is especially true when searching for content and answers online. Carving out a niche in the world of content creation and online business is tough, but it’s a lot easier if you take advantage of one of the most powerful tools in business: specialization. You can probably think of some strange small businesses in your hometown that you can’t believe are still there: some tiny shop that delivers products or services so specific that you’re surprised that they can stay afloat. But they do – and you can learn from them. It’s not just about what you can learn from a local business, it’s how you can apply these same working methods online as well. While it’s possible to target too small of a customer base, the tiny shop you’re thinking of proved that specialization can make your business essential to a small but loyal group. There are a lot of companies making tubs, toilets, and other bathroom fixtures, and the market is dominated by a few big brand names. That makes it tough to break into. But what about specialty fixtures? Take a look at this walk-in tubs provider and blog for example. They are not only providing actual products and services for bathroom fixtures designed for the handicapped or elderly are specific and essential to small groups, they are also creating informative blog content around these same angles in the process. No matter what happens to the world or economy, there will always be a demand for such products and services, and that opens a niche for regional plumbers and national manufacturers alike. At the same time, think about the millions of people searching online for questions and answers on the topics covered through their site as well. Specialization also implies expertise and quality. Expertise and size are, to an extent, a zero-sum game: you’d likely assume that a small specialty shop would have higher-quality goods and a more knowledgeable staff than a big box store (and you’d usually be right). This can translate to bigger profits. If you can’t match the prices of the big box stores, maybe you can convince your customers that you’re worth a little extra on the price. Specialization can do this. 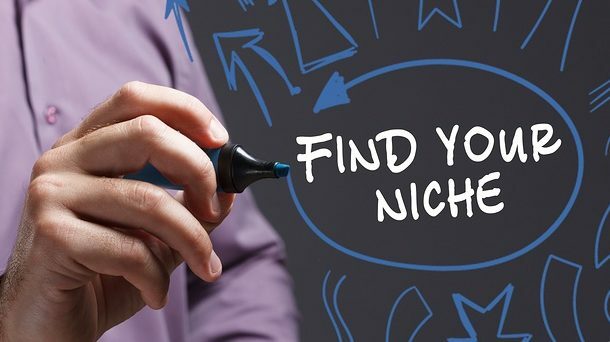 Can you reposition your business as a local expert in a certain niche? To show an example of how someone is using specialization to gain future exposure on their expertise and personal business, look no further than Marie Smith, who has built a complete online business model and brand around helping businesses accomplish more through social media. Through the article featured below, not only will you find seven marketing tips from Marie Smith on how to better execute your social media marketing efforts, it’s also a perfect example of another brand helping to grow her expertise and exposure in the process. It’s possible for all sorts of content creators, bloggers and businesses to specialize in what they are best at, while also providing their audience with what they want. The way to start is to look at what your customers already think you’re best at. If you’re selling more of one type of product or service, maybe you should center your business plan around that. You can reposition your brand as focused on that product or service, and push the rest of your offerings into related categories or add-ons. You can always grow later – remember, Amazon started as a bookstore! Specialization is key in both online and offline business. Your business needs a specific calling to focus on. Other things should be pushed to the side, dropped entirely, or outsourced or subcontracted. (In fact, those subcontractors and outsourcing companies are great examples of specialization: a company that focuses entirely on telecoms expense management is a very specific type of company indeed. That type of business certainly qualifies as essential to some, and good ones cultivate reputations as experts). Another example of this can be seen below, as “telecom and IT invoicing payment” solutions is something businesses are researching all the time. By writing about these types of search queries and providing valuable resources, it helps grow the parent brand and business in the process. Again, this all comes out of creating quality content for your audience. Branding is key — whether it’s an online article, print advertising, television advertising or anything else you can think of. Have you seen one of those newspaper ads with too many bullet points? Put your main mission front and center, and avoid trying to cram in everything under the sun. Your customer needs one thing, and they’re not going to be more likely to choose you just because you also do 800 other things – in fact, they may be less likely to choose you because you won’t look like a specialist or an expert. The same is true in search engine optimization (SEO), where superfluous keywords and a broad focus can reduce your ranking for your core offerings. So focus your content creation and business efforts on building your brand through the use of specialization. If you do it right, you’ll gain a consistent customer base and a firm niche from which to grow.